The Selwyn community and experience extends beyond graduation – we are committed to staying connected to former students, alumni, and their families. As our school continues to pursue its mission to provide well-rounded, superior education to its students, we look forward to keeping you informed so we might maintain the rich history of the school – of which you are a part – and celebrate our successes together. Selwyn is, and has always been, more than buildings and furniture. It is reflected in the spirit evident in our students, teachers, staff and alumni, a spirit that supports growth and success far beyond graduation. 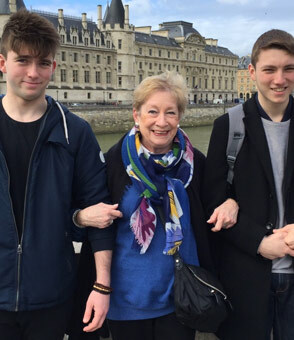 Katherine “Kit” Jagoe Preston Heidt ’61 is Selwyn’s first female graduate. She began her career at Selwyn as a Sophomore in 1959, when the school opened its doors to girls while meeting together at the old Oakland campus. She continued as a Junior as the school grew to 85 students, prompting them to move into a building that two months before had been a cattle barn. Thanks to the Selwyn ‘all hands-on deck’ approach, the students started class in their new space in September of that year. Selwyn graduates include a US Congressman, esteemed judges, artists, physicians, attorneys, engineers, leaders in finance, a Hollywood producer, entrepreneurs, a goat herder, builders and architects, successful business owners and leaders, professors, ministers, authors, military leaders, and a renowned fashion designer. Every quarter, we will spotlight one of our notable graduates. Those spotlighted will remain in our Selwyn Alumni Hall of Fame section in perpetuity. Many folks look back on primary and secondary school with mixed emotions. For some, it is pretty easy to discard that notice for the latest class reunion. School was something to be endured, and once completed, moved on from. Selwyn alumni are different. Selwyn graduates tend to stay in touch. For those who once attended class, ate, learned, travelled and did life together, it is important to maintain those foundational connections. These are more than mere classmates; they are family. To help you, our alumni, reconnect or enhance your connections, Selwyn is proud to present the Alumni Directory. The directory is password protected, and we will be contacting those of you who have authorized us to include you with the necessary sign in information. 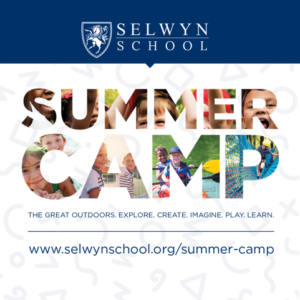 If you wish to be included, please contact us at alumni@selwynschool.com, or (940) 382-6771 x130, and we will be sure to include you in future versions. We are continually striving to update our alumni contact list and we want to hear from you so that we can keep you informed about alumni gatherings and other alumni-related news. Please click the Update Your Information tab below to reach us, or call (940) 382-6771 x130. Alumni and their families are welcome to volunteer on campus or at school events as well. We hope that you will keep in touch with us and we always appreciate your feedback! You may direct any questions or comments to our Alumni Relations Office. For almost 60 years, Selwyn has been the local institution for families seeking a balanced educational curriculum and a bright future for their children. In 1955, Denton Civic Boys Choir School was founded. After two years, a group of prominent Denton residents, led by John Ross of Moore Business Forms, put together a non-profit group to take over the school. With a borrowed $100, the school, renamed Denton Preparatory School in 1957, began classes in a building leased from Texas Woman’s University. Thirty-three students attended Kindergarten through 9th grade and it had five teachers. Leading that faculty was another Ross recruit: John D. Doncaster, a former English instructor at Southern Methodist University. Two years later, Doncaster led the school to a new location to accommodate its 85 students and the fledgling boarding program. Parents and school community members worked to convert barns into classrooms and a house into a dormitory. The original name was changed from Denton Civic Boys Choir to The Denton Preparatory School in 1959 when the doors were opened to female students. Located in a two-story, arts-and-crafts style house at 1117 Oakland Street near Texas Woman’s University, the school taught children from kindergarten through ninth grade and experienced such quick growth that by the early sixties they had to relocate to a leased 150-acre farm on the outskirts of Denton, where students, parents, faculty and friends transformed the cattle barns and a small farmhouse into classrooms. While at the farm, a handful of Selwyn students learned about an old medieval story revealing the secret of how to catch a unicorn. From the students’ fascination with this fairytale, the unicorn came to be the school mascot and a lake on campus was unofficially dubbed Unicorn Lake. This is where the first commencement ceremony was held for high school graduation at Selwyn in 1961. Then J. Newton Rayzor stepped in. In 1961, Rayzor, a Houston developer and prominent landowner in Denton donated 100 acres of land to the school on University Drive west of town. In the fall of that year, due to the labor of parents, faculty and students, the school was completed and ready for occupancy. To honor Rayzor, it was named after his daughter, Jeanne Selwyn Rayzor. (1926–1976). Over the years, the founding headmaster and first lady (John and Robin Doncaster), Selwyn parents, and the Board of Trustees worked together to not only build the campus, but to make it home for its borders and day school students. Over time it gained accreditation by the Texas Education Agency and the Independent Schools Association of the Southwest, a regional association of the National Association of Independent Schools. It also gradually added grades, eventually becoming a K-12 institution. The 1970s and 1980s saw Doncaster making trips to the Middle East to encourage parents there to send their children to boarding school in Denton. At the time, Saudi Aramco (Arabian American Oil Company) would pay for parents to send their children overseas to school. This led to a collection of students from all over: children of oil executives, international students, day students and boarders from across the Southwest. This diversity led to the cosmopolitan atmosphere of the school. As the 1980s ended, the plummeting price of oil made recruitment difficult for the school; oil wealth simply wasn’t there to pay the tuitions of so many of its students. This was compounded by the recession dealt by 1991’s Gulf War. The school, as it stood then, was unsustainable, so the upper school was closed. The change allowed the school to get on more solid financial footing by focusing on its pre-K and Kindergarten programs. However, as attendance grew again, grades were added to accommodate demand, gradually building the middle school, and, eventually, in 2003, the reopening of the upper school beginning with the 9th grade and adding grades through the 12th. One of the things that set Selwyn apart from other schools at both the middle and upper schools was its Perspectives program, a mandatory two-to-three-week trip. While middle school students generally stayed in the state, upper school students ventured to Europe, Asia, Latin America, the Caribbean and throughout the United States. It was an opportunity for students to expand their horizons in a relatively structured way. Until March 2017, the school was located off of U.S. Highway 380, near the city limits. Selwyn School is now located in Argyle, Texas, on Copper Canyon Road. The campus is modern and equipped to support the most current trends in technology. It’s located in a beautiful outdoor setting of over ten acres, with plenty of room for growth. Furthermore, the property provides access to natural open space that enhances Selwyn’s educational programs.